The Lycoming Division of the Aviation Manufacturing Corporation was located in Williamsport (Lycoming County), Pennsylvania. The company had started producing aircraft engines in the late 1920s. 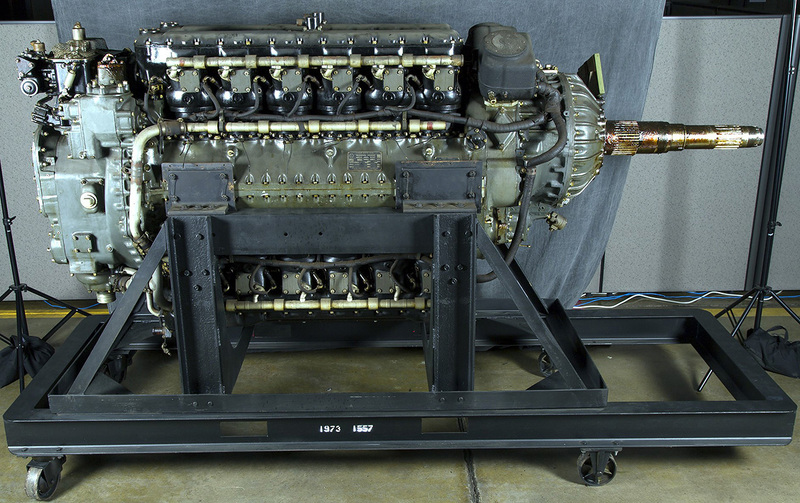 In 1937, Lycoming became aware that its most powerful engine to date, the 12-cylinder O-1230, would not produce the power needed for future frontline military aircraft. 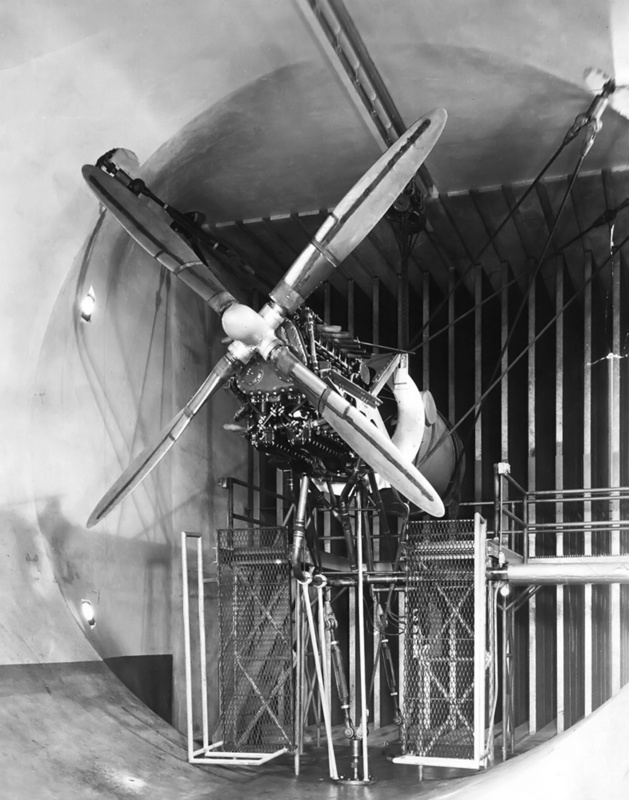 Development of the O-1230 engine started in 1933, but the anticipated power needs of state-of-the-art aircraft were beyond what the 1,200 hp (895 kW) engine could provide. Lycoming moved quickly to apply knowledge gained from the O-1230 to a new aircraft engine. The design of the Lycoming XH-2470 started with the concept of mounting two O-1230 engines to a common crankcase. Note that the propeller shaft is raised above the centerline of the engine. Lycoming started the design of its new engine in 1938, and detailed design work commenced in mid-1939. The 24-cylinder engine had an H-configuration and consisted of components from two O-1230 engines combined with a new crankcase. The new two-piece aluminum crankcase was split horizontally and accommodated a left and right crankshaft. Each crankshaft served two banks of six cylinders, with one bank above the engine and the other bank below. Fork-and-blade connecting rods were used, with the forked rods serving the lower cylinders. The H-24 engine was designated XH-2470 and given the “Materiel, Experimental” code MX-211. The US Army Air Corps (AAC) initially felt that the engine was too small, but the US Navy supported the design. The Navy ordered a single prototype engine on 11 December 1939, and the AAC started to show some interest in the engine in 1940. The Lycoming XH-2470 utilized individual cylinders that consisted of a steel barrel screwed and shrunk into an aluminum head. The liquid-cooled cylinder was surrounded by a steel water jacket. The aluminum head had a hemispherical combustion chamber with one intake valve and one sodium-cooled exhaust valve. A cam box was mounted to the top of each cylinder bank, and each cam box contained a single camshaft that was shaft-driven from the rear of the engine. 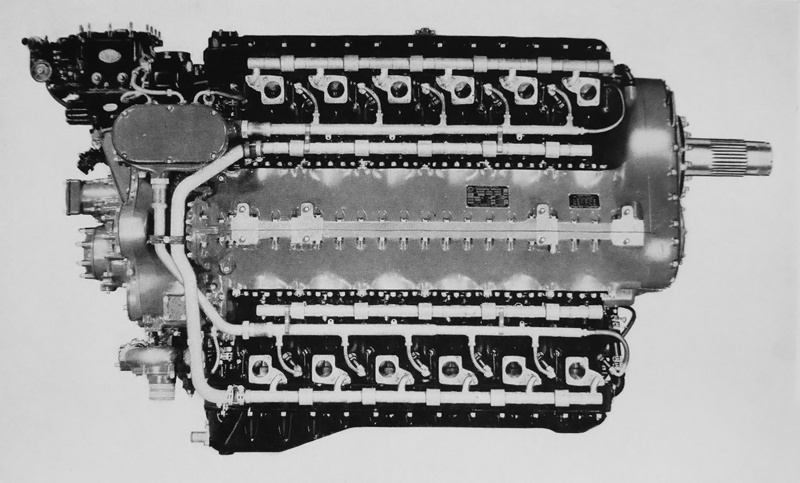 Top view of the XH-2470 shows the intake manifold positioned between the cylinder banks. The narrow engine could be installed horizontally (on its side) in an aircraft’s wing. Bell and Northrop pursued this installation for project aircraft, but the designs were not built. A downdraft carburetor fed fuel into the supercharger’s 12 in (305 mm) diameter impeller mounted to the rear of the engine. Lycoming had experimented with direct fuel injection on test cylinders and planned to have fuel injection available for the XH-2470, but it is unlikely that any complete engines ever used fuel injection. The XH-2470-1, -3, and -7 engines had a single-speed, single-stage supercharger that was driven at 6.142 times crankshaft speed. The XH-2470-5 had a two-speed supercharger that was driven at 6.06 and 7.88 times crankshaft speed. Intake manifolds ran between the upper and lower cylinder banks. Depending on the installation, exhaust gases were either expelled from the outer side of the cylinders via individual stacks or collected in a manifold common to each cylinder bank. Provisions were made for the engine to accommodate a turbosupercharger. The XH-2470-1, -3, and -5 were available with a single-rotation propeller shaft using a SAE #60 spline shaft. The -1 and -3 had a .38 gear reduction. The -5 was listed as having a two-speed reduction, but the ratios have not been found. The XH-2470-7 had contra-rotating propeller shafts and a two-speed gear reduction with speeds of .433 and .321. The contra-rotating shafts were SAE #40-60 splines, with the inner shaft rotating counterclockwise and the outer shaft rotating clockwise. The gear reduction for all engines was achieved through spur gears, and the propeller shaft was positioned above the engine’s centerline. The engine could be installed in either a vertical or horizontal position. The XH-2470-2 and -4 were engines intended for the Navy. The -2 was similar to the AAF’s engine with a single propeller shaft. The -4 had contra-rotating propeller shafts and was similar to the -7. The H-2470 had a 5.25 in (133 mm) bore and a 4.75 in (121 mm) stroke. The engine’s total displacement was 2,468 cu in (40.4 L), and it had a 6.5 to 1 compression ratio. The H-2470 produced 2,300 hp (1,715 kW) at 3,300 rpm at 1,500 ft (457 m) for takeoff, 2,000 hp (1,491 kW) at 3,100 rpm at 3,500 ft (1,067 kW) for normal operation, and 1,300 hp (969 kW) at 2,400 rpm at 15,000 ft (4,572 m) for cruise operation. In addition, the two-speed supercharged engine could achieve 1,900 hp (1,417 kW) at 3,300 rpm at 15,000 ft (4,572 m) for emergency power and 1,750 hp (1,305 kW) at 3,100 rpm at 15,000 ft (4,572 m) for normal operation. The XH-2470 had a 3,720-rpm overspeed limit for diving operations. The single-rotation engines were 89.9 in (2.28 m) long, 30.5 in (.77 m) wide, 50.3 in (1.28 m) tall, and weighed 2,430 lb (1,102 kg). The contra-rotating XH-2470-7 was approximately 114 in (2.90 m) long and weighed 2,600 lb (1,179 kg). Before the XH-2470 had even run, Lycoming proposed a variant of the engine to satisfy the AAC’s Request for Data R40-D, which was issued on 6 March 1940. R40-D sought the design of a 4,000 to 5,500 hp (2,983 to 4,101 kW) aircraft engine for use in long-range bombers. 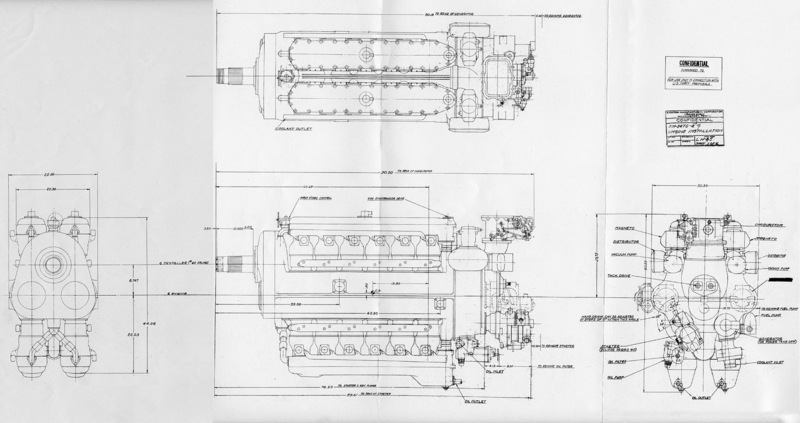 Lycoming proposed coupling two H-2470 engines together, creating a 48-cylinder XH-4940. The XH-4940 would produce 4,800 hp (3,579 kW) at 3,100 rpm up to 8,500 ft (2,591 m) with the aid of a single-speed, single-stage supercharger. The engine had a projected maximum speed of 3,400 rpm and would weigh 6,200 lb (2,812 kg). The AAC’s R40-D ended up going nowhere, and the request was cancelled in mid-1940. An XH-2470 mounted on a test stand with a tractor propeller. Installed in the XP-54 as a pusher; the blades on the XH-2470 had their angle reversed. Note the individual exhaust stacks. The XH-2470 was first run in July 1940. The engine was proposed for the Curtiss XF14C Naval fighter and the Vultee XP-54 Swoose Goose AAC fighter. The XP-54’s original power plant was the Pratt & Whitney X-1800 (XH-2240 / XH-2600), but development of this engine stopped in October 1940. It was the cancellation of the X-1800 that led to the AAC’s interest in the XH-2470, and the AAC ordered 25 (later increased to 50) engines in October 1940. The AAC was also interested in potentially using the XH-2470 to power the Lockheed XP-58 Chain Lightning. Bell and Northrop also expressed interest in the engine for future projects. The XH-2470 completed a Navy acceptance test in April 1941. At the time, the XF14C and XP-54 prototypes were in the detailed design stage. However, the Army Air Force (AAF—the AAC had changed its name in June 1941) continued to alter the XP-54 requirements throughout 1941. Added to the Vultee project were Turbosuperchargers, a pressurized cockpit, and the option of the Wright R-2160 Tornado engine. It was not until 1942 when R-2160 development was seriously behind schedule that the engine was dropped from the XP-54 and a more focused installation of the XH-2470 was presented. An XH-2470-7 engine with contra-rotating propellers was intended for the XP-54, but a single rotation engine was substituted because of delays with the contra-rotating gearbox. The AAF specified two Wright TSBB turbosuperchargers for the first XP-54 prototype and a single, experimental General Electric (GE) XCM turbosupercharger for the second aircraft. Reportedly, the Navy ordered 100 XH-2470 engines in May 1942. However, this may have been a total of 100 engines on order with 50 going to the AAF and 50 to the Navy. The first XP-54 (41-1210) made its first flight on 15 January 1943, taking off from Muroc (now Edwards) Air Force Base, California. With the exception of the first flight, the XH-2470 engine installed in the XP-54 turned a 12 ft 2 in (3.71 m) Hamilton Standard propeller. Although the aircraft handled well, its development had suffered through constant changes in design and intended role. The aircraft underperformed, and the XH-2470 engine had some issues, such as oil foaming at high RPM or at altitudes above 20,000 ft (6,096 m). The Vultee XP-54 was a very large aircraft. 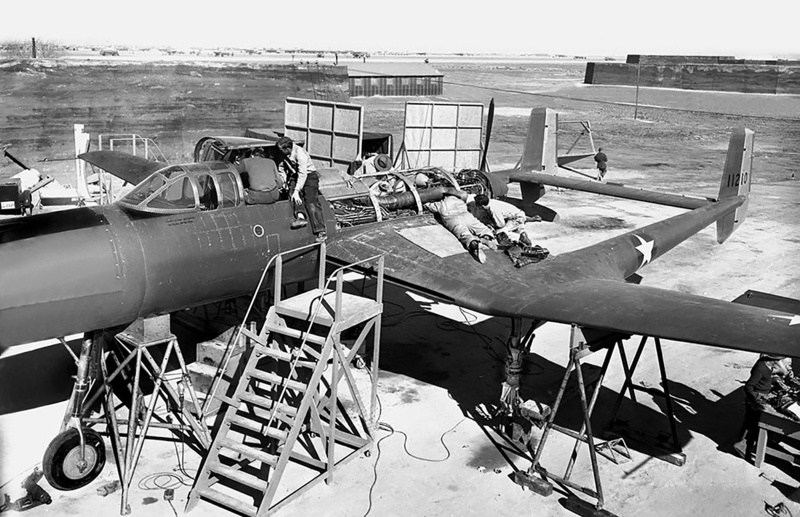 Even so, the installation of the XH-2470 appears to be quite cramped. Note the large exhaust manifold linking the engine to the turbosupercharger, which was positioned behind the cockpit. The first XP-54 was flown to Wright Field, Ohio on 28 October 1943. After the next flight, a close inspection of the XH-2470 revealed some minor issues as well as damage to the supercharger impeller. The engine was removed and sent to Lycoming for repairs. The cost to fix the engine was more than the AAF was willing to pay, which showed the AAF’s lack of interest in the XH-2470 program. The first XP-54 was removed from flight status and used as a source of spare parts for the second XP-54 aircraft. The first XP-54 had completed 86 flights and accumulated 63.2 hours of flight time. To make matters worse, the Navy cancelled its XH-2470 order in December 1943, deciding to power the XF14C with a turbosupercharged Wright R-3350 instead. Factors that influenced this change were the Navy’s long-standing preference for air-cooled engines, a shift of the XF14C’s role to that of a high-altitude fighter, issues with the XH-2470’s developmental progress, and doubts that the engine would be ready in time to see combat during World War II. At the same time, Lycoming had moved on to another aircraft engine project, the 36-cylinder XR-7755. Lycoming had invested over $1,000,000 of its own money into the XH-2470 engine. The second XP-54 prototype (42-108994, but incorrectly painted as 41-1211) made its first flight on 24 May 1944, taking off from Vultee Field. After at least three flights, the GE XCM turbosupercharger and the XH-2470 were removed from the aircraft. Some incompatibility between the turbosupercharger and engine had caused damage to both units. A new engine and turbosupercharger were installed, and the XP-54 flew again in December 1944. The second XP-54 made at least 10 flights, the last ending with an engine failure on 2 April 1945. The airframe had accumulated 10.7 hours of flight time. At least one XH-2470 engine has been preserved. 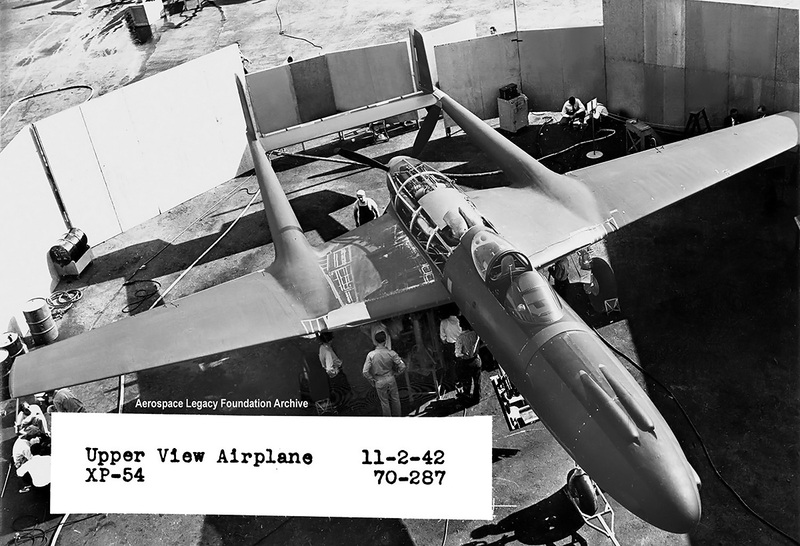 An XH-2470-7 is in storage at the Smithsonian National Air and Space Museum. The engine, which was never installed in any aircraft, has contra-rotating propellers and a two-speed gear reduction. The Smithsonian also lists an XH-2470-1 engine from the XP-54 in its inventory. However, no further evidence of this engine’s existence has been found. This entry was posted in Aircraft Engines, World War II on 5 May 2018 by William Pearce. Didn’t make it because it was based on a small engine. The path to success was narrow.